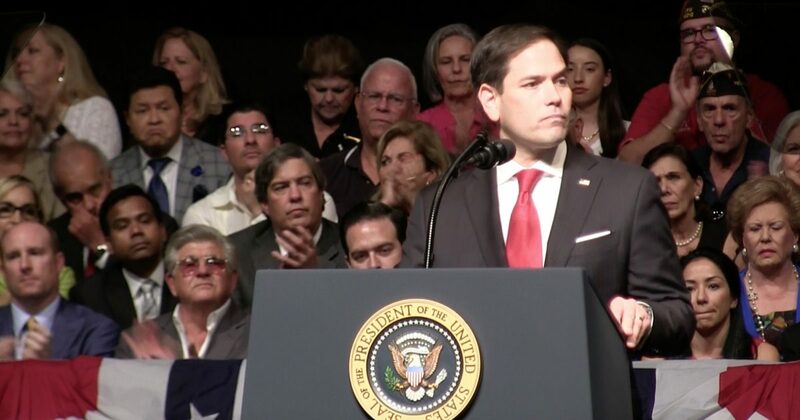 Miami, FL– Senator Marco Rubio (R) addressed a packed house of the Cuban exile community shortly before President Donald Trump took the stage and signed an executive order rescinding former President Barack Obama’s new Cuba policy. Even though the speech was very short in comparison to his usual addresses, his praise for Trump’s new position on U.S.-Cuba relations was nothing less than vintage Rubio. Here are the highlights. Watch the clip.